Welcome! Thank you for visiting our website. We hope that you find this site to be both interesting and informative. Our entire staff, consisting of 3 lawyers and 4 support staff members, is committed to providing you with the legal assistance you may need. We make every attempt to help you in a friendly, professional, and efficient manner. Humbarger, Zebell, & Bieberich, PC is a general practice law firm, providing advice to clients in all areas of civil and criminal law. 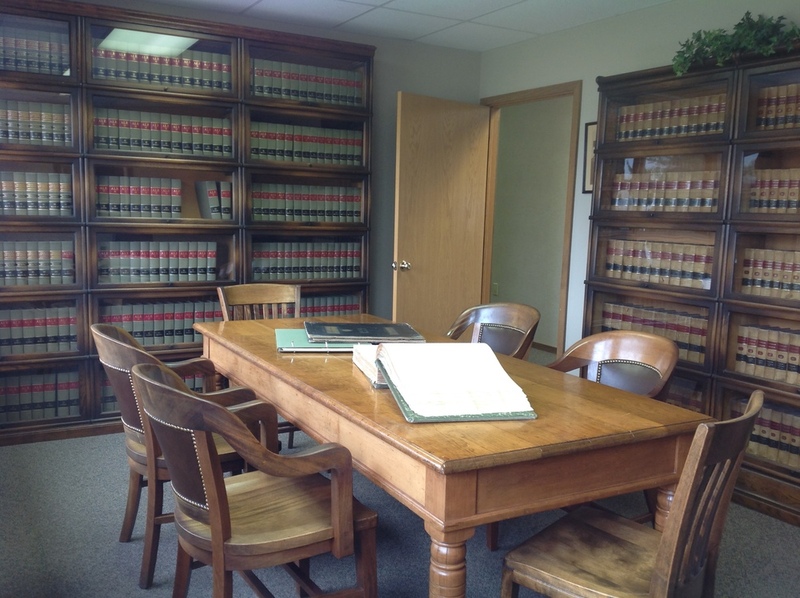 The firm traces its beginning to Burritt Hamilton, who began the practice of law in Battle Creek in 1898. Mr. Hamilton practiced law in partnership with Kim Sigler for several years prior to Mr. Sigler being elected governor of the State of Michigan in 1946. After World War II, Mr. Hamilton, Lloyd Humbarger and Brainard Sabin formed a new partnership. Mr. Hamilton continued as a member of the firm until his death in 1954, Mr. Sabin until his retirement in 1981, and Lloyd Humbarger until his death in 1993. The present members of the firm strive to continue the tradition of excellence and integrity established over 100 years ago. Our office is located at 3 Heritage Oak Lane, Battle Creek, Michigan 49015 (269-979-3990), across the street from the Helen Warner Branch of Willard Library, and next to the Minges Creek Racquet Club. Please take time to learn more about us. If you believe we may be able to help you, please feel free to contact us.